Simple and satisfying, this cornmeal porridge from Kenya, called Ugali, is the perfect accompaniment to soups, stews, and savory curries. I’m amazed at how many versions of cornmeal porridge exist in the world! 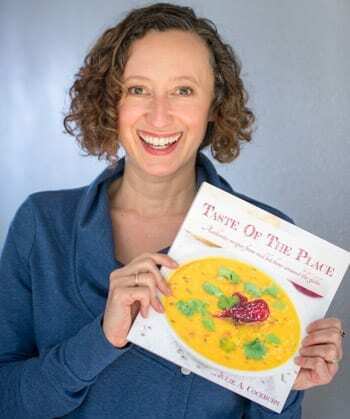 Once upon a time, I thought Italian polenta was it – but, noooo – there are delicious and unique versions throughout Europe, the Americas, and even Africa. Who knew that humble corn would make such a mark across the globe! 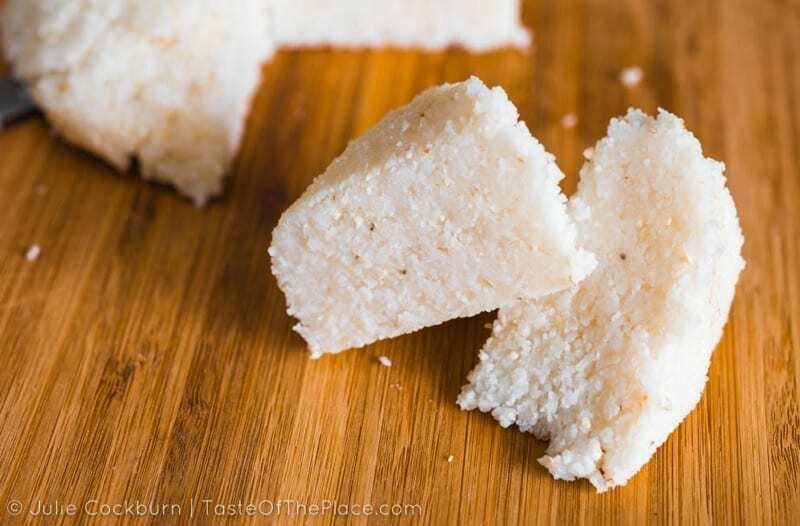 This version, called ugali, comes from my friend, fellow Food Revolution ambassador, and cookbook contributor, Sandra Mukidza, of Nairobi, Kenya. 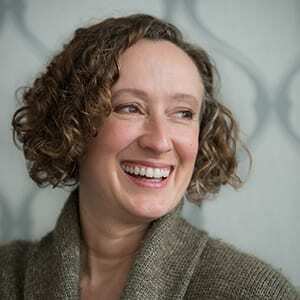 And it happens to pair perfectly with her rich and hearty Kenyan Beef Curry (grab the Kenyan Beef Curry recipe HERE). Yumm! Before the 19th century, sorghum and millet were the primary grains produced and consumed in Kenya. Corn, or maize, the main ingredient in ugali, was introduced to the area by Portuguese traders. It was initially produced for export, but was eventually adopted by locals, who transformed it into the simple and nourishing porridge called ugali. Today, ugali is a staple of the Kenyan diet, eaten by many on a daily basis. It is generally served as a side – the perfect accompaniment for stews, curries, or veggie dishes. If you visit Kenya, don’t be surprised to see locals eating ugali with their hands, using it almost like a utensil. The proper way is to pinch a small bit off with your fingers, roll into a ball, and use your thumb to make a small depression for scooping up a bite of stew. Ugali doesn’t generally call for salt. This recipe follows that tradition. If your tastebuds require a bit of saltiness, simply add a big pinch of salt to the water at the beginning of cooking, or top with salted butter at the table. You will want to use a sturdy wooden spoon for cooking the ugali. Expect to get a workout in the process, as the dough becomes quite stiff. You’ll know the ugali is cooked when it starts to pull away from the sides of the pan, and begins to take on the aroma of roasted corn. Reduce the heat to low, and stirring constantly with a whisk, slowly add the cornmeal to the boiling water. The ugali will begin to thicken quite quickly. Continue cooking on low heat, stirring every minute or so with a sturdy wooden spoon, until the ugali begins to pull away from the sides of the pan and hold together, and takes on the aroma of roasted corn. Turn it out immediately onto a serving plate. If you would like, using a spoon or spatula, quickly shape it into a thick disk or round. The ugali will continue to firm as it cools, and will be thick enough to cut with a knife (similar to firm polenta). Serve it up with your favorite savory stew or curry. 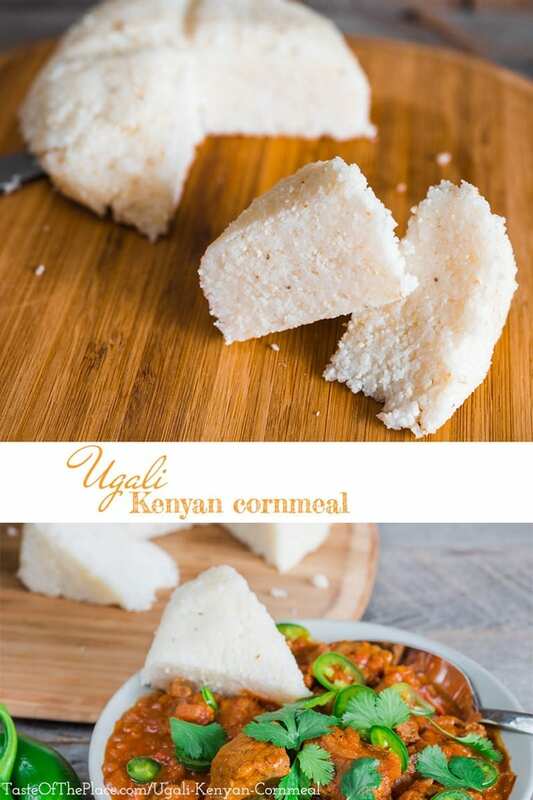 Ugali is a cornmeal porridge similiar to polenta. The recipe does not call for any salt, but if you find your tastebuds need a bit more saltiness, you could serve it with some salted butter or add a big pinch of salt to the water at the beginning. That’s a great question – thanks for asking! The recipe comes from a friend of mine who grew up eating and learning to cook in Nairobi, Kenya, Sandra Mukidza. So it is about as authentic a recipe as you can get. There are, of course, other versions of ugali out there, which could be fun to research, as well. Good luck with the project! What kind of cornmeal, plain or self rising? Hey there, Robin! Just plain cornmeal. It shouldn’t have additives in it – just corn. Medium or coarse-ground works best in this application. Have I tried this? It sounds quite tasty! It is tasty! Perfect for serving with stew!